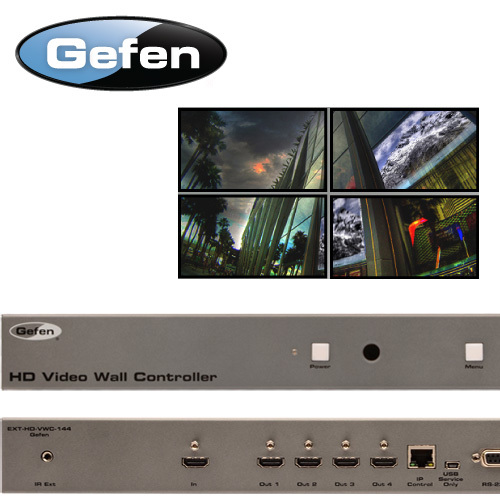 The Gefen HD Video Wall Controller is the perfect solution for entertainment and digital signage applications in retail outlets, clubs, trade shows, control centers, building lobbies, and other similar venues. 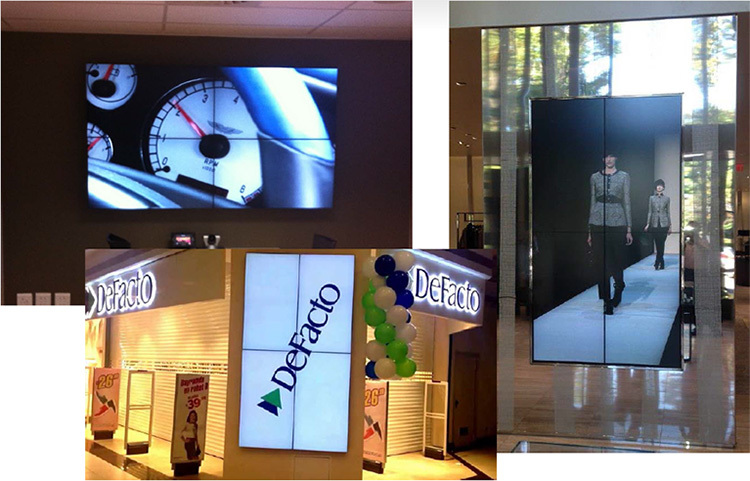 The HDTV displays are installed in a 2x2 configuration to create a large video wall. It accepts a single HDCP-compliant HDMI source and divides the picture over four equal-sized displays, each with resolution up to 1080p Full HD. 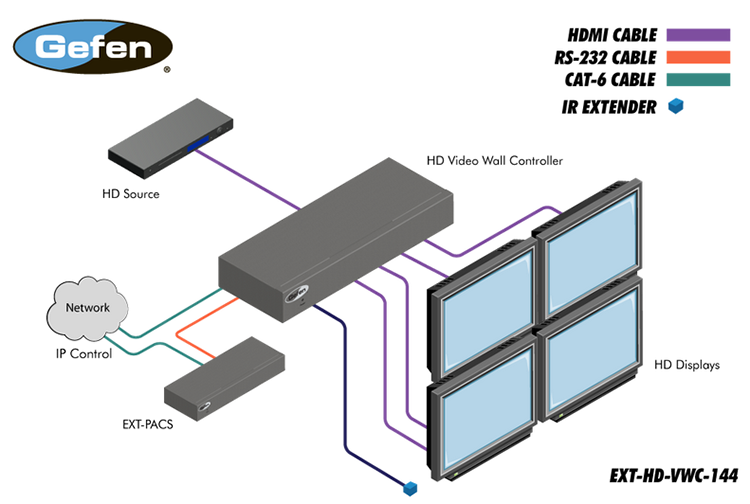 The HD Video Wall Controller?s versatile bezel compensation ability can accommodate any display bezel width. Power on, lock, and menu navigation control buttons are accessible via front panel and the handheld IR remote control, as well as via RS-232 and IP (web server interface, Telnet, and UDP). An intuitive on-screen Graphical User Interface simplifies set-up and configuration.